Post from Pastor Tim Dillmuth – Truth be told, I’d much rather be cleaning a bathroom or delivering a Thanksgiving food basket than reigning. 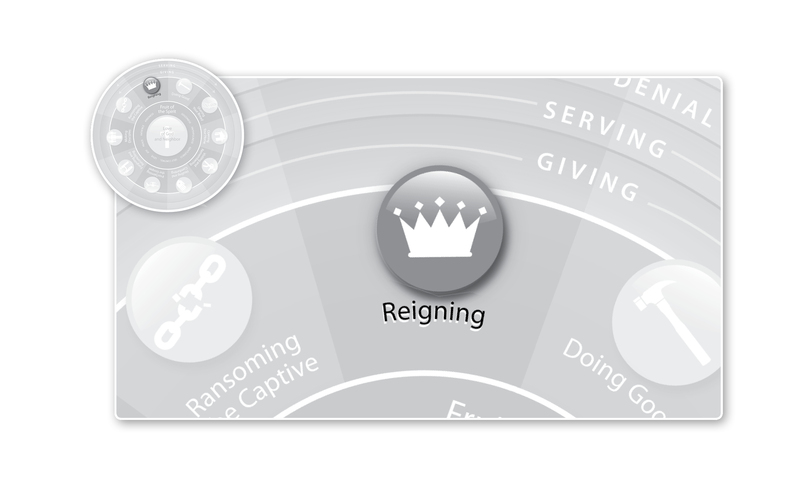 Reigning could certainly encompass the above activities, but the practical work of reigning is looking very different for me this month. You see, a little less than two years ago, I experienced a defining moment of my life as I was convicted of “failure to report child abuse”–click here for all the details. I always like to point to the fact that my wife and I learned a great deal through this situation, and God used those circumstances to draw us much closer to him. What I don’t like to point out, is how I still have unresolved feelings of anger towards the press pertaining to how they wrote about that case. This all came to a head last week, when one local newspaper mistakenly referred to me as a child molester in a front page article written about a candidate for county attorney. It was simply a careless error on the part of the newspaper, certainly not a grand conspiracy to destroy my reputation. Realizing their error, they printed a small retraction–on page 18–and fixed the online version by removing my name from the article. So . . . what now? How should I respond, if at all? Ultimately, how do I reign in this situation? Should I simply do nothing and internalize my feelings? Should I pursue legal action against the paper, as so many friends and family, worried for me and angry at the paper’s error, have urged? Interestingly enough, Rev. Foley wrote his last blog post before he knew about the latest developments of my situation. And yet, the example of Francis of Assisi and how he handled disparaging comments have enabled me to think more deeply about my own situation. The Apostle Paul also acted in a similar manner to that of Francis of Assisi. Paul was always quick to point out that he blasphemed the Lord and persecuted Christians. He even went as far as to say that he was the foremost of sinners (1 Timothy 1:15), and the least of all the apostles (1 Cor. 15:9)! sharing the letter–and further updates on this situation–with you as it all unfolds. This entry was posted in Reigning and tagged Reigning, Tim Dillmuth, Work of Mercy. Bookmark the permalink. thanks, pastor timothy. i’ve heard many people cry out for transparent leadership, but few do it (or at least well, even of those who cry for it). i’m humbled by this article, sir; thank God you’re still on the court. Thanks for your comment James. I’m also thankful that I’m still on the court as well . . . only by the grace of God! I look forward to connecting more with you in future as well! We’re glad you got some Street Cred out of that life experience, Pastor Tim. This greatly enhances your credibility with the North Koreans you patiently disciple. Pastor Kent and I just read the “click here” item. We did not know you prior to that life experience. But we do know you now and we like you very much. So, whatever God did for you during that time, we are reaping lots of consistent, reliable, kind and selfless friendship from your faithfulness. Every day is a good day to thank God for Pastor Tim. And not just Pastor Tim, but all people (1 Timothy 2:1)!